Kingdoms of Amalur: Reckoning is just weeks away. 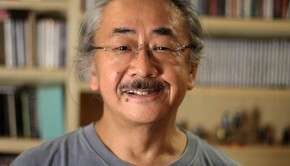 The giant open-world RPG, designed by Big Huge Games and published by Electronic Arts, is one of the most eagerly anticipated titles of the year. It will feature a thematic orchestral soundtrack led by Grant Kirkhope, known for scoring the Banjo-Kazooie, Viva Piñata, and Perfect Dark series. In this interview, Kirkhope reveals all about the music and sound of Kingdoms of Amalur: Reckoning. While Kirkhope created an epic orchestral score for the title, he emphasises that strong melodies are still at its core. He also details how he built a realistic fantasy soundscape for the game and recorded his most complex compositions to date for the boss battles. Chris: Grant Kirkhope, thanks for taking the time today to talk about your work on Kingdoms of Amalur: Reckoning. We last spoke to you shortly after you emigrated to North America to join Big Huge Games. How have you settled in to your new home and position? Grant Kirkhope: Hello there! It’s all going great, I have to say. Apart from that brief spell six months after I got here, when THQ decided to close us down… heh! Chris: Kingdoms of Amalur: Reckoning is such a huge game that it demanded a vast soundtrack for you. How did you approach this soundtrack? As your first RPG soundtrack — excluding the unreleasedDream — was it demanding to find just the right sound for the score? Grant Kirkhope: I just had to take it a step at a time. I wrote some music pretty early on (the main theme and some ambient pieces), but then got stuck into the sound design. I think that, at the start of a game, it’s good to have a bit of music to set the mood, but the sound design is more important. When I started to really get into composing mode, I just did what I always do — I have a good look at the design docs for what I’m composing for and make a start. 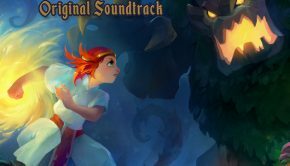 With a game like Reckoning, it was obvious from the outset it needed to be an orchestral score and have a high fantasy feel — a sort of dark fairytale. Certainly the first main open area of the game, Dalentarth, needed to sound that way. But I think that the later areas sound different — I just ended up matching the way they looked with the music, if that makes any sense! It was a big undertaking to make the music, but great fun. Chris: You have already revealed the main theme for Kingdoms of Amalur: Reckoning through your personal website. Could you take us through your inspirations for this melody and how you have integrated it through the game? 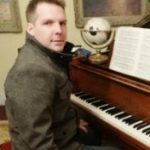 Grant Kirkhope: As you know, I’m a huge believer in melody. I wanted to have a melody that I could use throughout the game, in different situations, that would always remind the player of who they were and what universe they were in. The main theme is easily cut up into smaller sections that should (hopefully!) do the trick — much in a similar way that you don’t have to hear the whole Harry Potter theme to know what it is. The theme pops up all over the place, from the ambient region music to the boss battles. As I wrote the piece so early on in the game’s development, I had it recorded by orchestra as a one off to see how it sounded. This is something I hadn’t done before, but it was worth it, as it gave people on the team a real sense of how it will all sound in the final game. I did end up re-recording it again when I came to the final sessions in Prague. Chris: While the main theme is something very different from you, it still features a strong thematic emphasis. Is this true for the soundtrack as a whole? What do you think are the advantages of a thematic approach to scoring in an age where more ambient approaches are commonplace? Grant Kirkhope: I hope so! I’ve really tried to write strong melodies all over Reckoning — it’s just the way I like to do things. That does seems to be against current trends in a lot of games and movie scores these days — maybe I’m just getting old!!! I really could rant on for hours about how important I think melodies are. I still get lots of fan emails to my website about all the games I did at Rare and I have to say that the most common comment they say is how much the melodies are stuck in their heads. I really believe that the average person in the street likes to hear a tune. I don’t think that movie and game scores are any different to pop music in that sense. The basic composition part is the same — you write a good tune with a good set of chords. You always have to write ambient pieces too, of course, but there’s nothing like those big moments where you can let fly with the big theme… heh! It’s hard to write a good melody, and I may have completely failed to do it, but if you manage it, I think it gives the movie or game a real feeling of completeness — something to hang it all on. Well, I did my best anyway!! 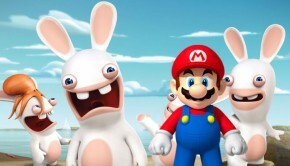 Chris: The game features five distinct regions and four playable races. What sort of thematic and stylistic approaches did you take to characterise and distinguish them? 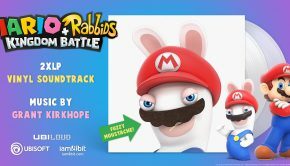 Grant Kirkhope: All the regions have a piece that we call “firstplay” — this will always play as you enter the region — and then we have “standard” music that is in the same style, but maybe not as heavily themed. The “standard” music is on a timer to randomly play as you explore the region, much like I did in Viva Piñata, and you won’t hear the “firstplay” piece again until you re-enter the region or move to another section of the region. I wanted to try to use different sections of the orchestra to represent different regions in the game. So if you’re in a big grassy plains area, there’ll be mostly big noble strings, whereas if you’re in a swamp region, there’ll be mostly dark low woodwinds. Depending on what kind of dungeon you’re in, you’ll hear different sections of the orchestra again, and the music is styled to represent the environment. All the cities have their own themes and a quieter version of that theme plays in the interiors. Chris: Ever since Banjo-Kazooie, you have also been a pioneer for producing adaptive music in games. Is it safe to assume that you have further developed this approach on Kingdoms of Amalur: Reckoning? Did this require you to produce multiple recordings of each piece? Grant Kirkhope: I actually haven’t done that on Reckoning. I made the conscious decision to not have music playing all the time, as you can spend so many hours in the regions that I felt it would get in the way too much. Chris: Throughout the soundtrack, you worked closely with Mark Cromer, whose impressive resumé includes the Civilization franchise. Could you explain how you subdivided audio roles on the title? How did you and Mark complement each other? Grant Kirkhope: I did indeed! Mark has a Masters in classical guitar, so first off I asked him if he’d like to write music for the Inns and Taverns. He hand-played a variety of stringed instruments for all these pieces. However, Mark made sure they weren’t the usual medieval-sounding stuff that you often hear, as he utilised the harmonic structure that runs throughout the game. I love the way they sound! Mark hadn’t really had the chance to write for full orchestra at Firaxis, so he was new to doing that, but he picked it up so fast and wrote music for the ambient areas for the game with me. I would write the first piece or two to establish the style, and then we’d both just keep going until we had enough music. Chris: You recently returned to Europe to record the soundtrack with full orchestra in Prague. Could you share your experiences at the recording sessions? What was it like to reunite with the ensemble? Grant Kirkhope: I really love working with the City of Prague Philharmonic. In fact, Reckoning is my fourth score with them so far. As always, I had Nic Raine as orchestrator/conductor and James “Bill” Fitzpatrick as the orchestral contractor/producer. No matter how many times you do it, hearing your own music played by full orchestra is an amazing thing and still brings a tear to the eye… heh! I’ve got to know the players there now pretty well — so much so that I’ll write solos with them in mind. They’re so used to playing with click tracks and their sight reading is excellent, so it never takes long to get a piece rehearsed and recorded. I really couldn’t recommend them highly enough. I spent a week there this time, as there’s a good two and a half hours worth of music in Reckoning. Chris: Coming from Viva Piñata, you’re no stranger to producing surround sound mixes. What innovations in the audio department on this title? How did you mix the score to generate that big huge sound? Grant Kirkhope: I have to say that we haven’t done anything out of the ordinary. I really believe that attention to detail is the key here — that and a good set of ears! I think a good sound designer should just know when it sounds right. The music was mixed by Gareth Williams, who previously mixed and mastered all the scores I’ve done in Prague. He had to take a very different approach to Reckoning compared to Viva Piñata or Banjo Kazooie, though. We needed that “Hollywood” sound, as the game was asking for it! He did a great job and I’m really pleased with the way it’s all turned out. Chris: As sound director, you also oversaw the sound effects design of the game. How did you develop suitable soundscapes to portray the organic environments and boss battles? Grant Kirkhope: I think that, with a game like this, it’s very easy to get overwhelmed. If you try to go straight for the “big” soundscape, it always ends up a mess. The way I approached the sound design was to do it in small steps and pay a lot of attention to detail. In a region, we’d start off with a very basic unobtrusive ambience — for instance, in the first main area of the game, the forest area Dalentarth, there would be a hissy, grassy, leafy sample that looped constantly. On top of that, we would have folders of lots of things, like one shot bird samples that would be triggered on a random timer, with a random pitch variation, and played randomly in 3D surround based on a random distance. Lots of randoms there, eh? Heh! This all makes it sound very real. On top of that, we would have our positional sounds like waterfalls or moths buzzing round lights or trees. As we add all these different sounds in these different ways, it builds up the soundscape into a living breathing thing that brings the world to life. And at the top of it all, there is obviously all the character and monster sound effects. For the most part, we used the usual extremely technical method of making all the noises — by grunting and groaning ourselves!! Chris: What about the voice acting? Grant Kirkhope: We had around 50,000 lines of speech that needed to be cast and recorded. We outsourced the recording to “Voiceworks” in Los Angeles. When it came to the casting of the various characters, we would send a description off to Voiceworks and they would send us back some auditions. In the end, we’d choose the person we liked best. We made the decision very early on that all the voices should be with non-American accents, as it suited the game better. Chris: You’ve also generated excitement by announcing that your boss themes are your most complex and intricate compositions ever. Could you further elaborate on this? Did these tracks offer you the opportunity to really explore you musicality? Grant Kirkhope: I am particularly proud of the boss pieces, I have to say. I only hope that people get through the huge game to hear them all… heh! In terms of inspirations, I spent a lot of time listening to John Williams’ action music, especially the first three Harry Potter movies that he did. Williams has a fantastic way of making the music really exciting, but not intrusive, before hitting you with a tune and then going back to the manic stuff. I call it “treading water music” — it’s not a dismissive phrase, just my way of describing the bits in between the big moments. If you listen to his music for any action segment, you can hear that it really is all over the place and very complex. It creates a real level of excitement. I loved doing these pieces and it did really give me the chance to go mad… heh… particularly on a couple of pieces. I was worried that I might have been going a bit over the top, but everyone here loves it! Chris: Finally, it has already been announced that the soundtrack for the title will be available both commercially and with the limited edition. How did you present the soundtracks for this title? Do you think it will completely satisfy as a stand-alone listening experience? Grant Kirkhope: Yes, the commercial soundtrack is coming out on the same day as the game (February 7, 2012). I got in contact with Nile Rodgers again, as his label Sumthing Else Music Works had released the Viva Piñata and Banjo-Kazooie: Nuts and Bolts soundtracks. Nile is the nicest person you could ever wish to meet and he’s a huge gamer. I’ve managed to get most of the music on the CD in one form or another. For the ambient pieces, I selected three or four pieces and faded them together. With the cinematic pieces, I removed the sections where there was silence and the rest of the music went on as is. I think, as a stand-alone product, it does measure up really well and it gives a good representation of the game… Even my wife and kids listen to it… wonders will never cease! Chris: Many thanks for your time today, Grant Kirkhope. Is there anything else you’d like to say about the music and sound for Kingdoms of Amalur: Reckoning? In addition, do you have any messages to your fans around the world? Grant Kirkhope: Thanks for wanting to talk to me in the first place!! Reckoning has been a real labour of love for everyone here at Big Huge Games — I hope people feel that when they play it. I always find it strange when anyone says I have fans. I’m just a nerd like everyone else! But I will say that for any artist of any persuasion — be that writer, painter, composer or whatever — to have anyone at all like what they create is just completely amazing and very humbling. I’ve been very lucky to have been involved with some fantastic games in my career so far. Long may it continue!!! Many thanks to Grant Kirkhope for coordinating this interviews. The soundtrack for Kingdoms of Amalur: Reckoning can be pre-ordered on Amazon and is also available with the Special Editionsof the game. Posted on January 15, 2012 by Chris Greening. Last modified on March 7, 2014.